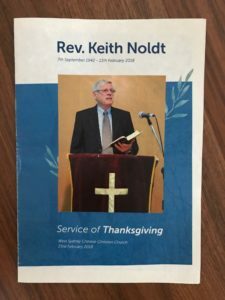 Keith Noldt has been a brother and co pastor with Ariel at WSCCC since 2012. Here is a photo I used on this blog in 2013 showing the 2 men musing on the church lawn. It was a cheerful, supportive and deeply spiritual friendship. My favourite church meetings in our home were the ones where Ariel, Keith and the youth minister, Andrew would meet. 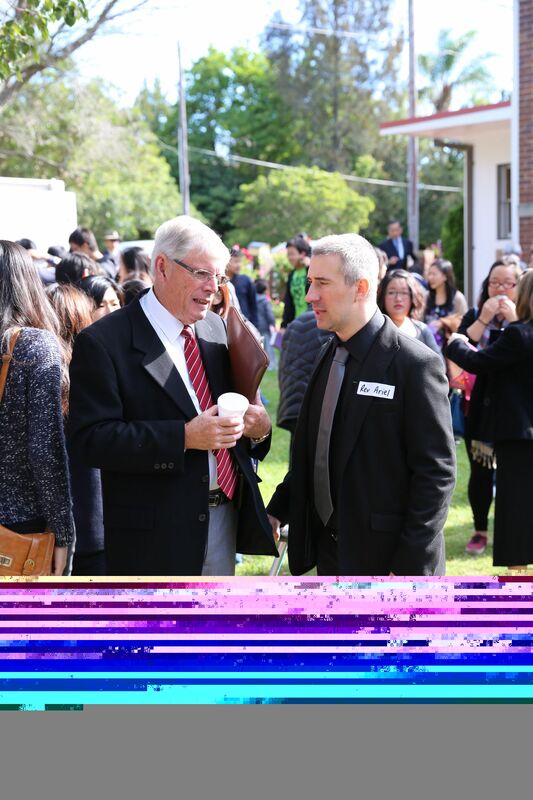 They were brothers in arms – planning, speaking, encouraging and laughing – all to serve Jesus. Sadly, after a brief illness lasting only a few months, our dear friend passed away in February. 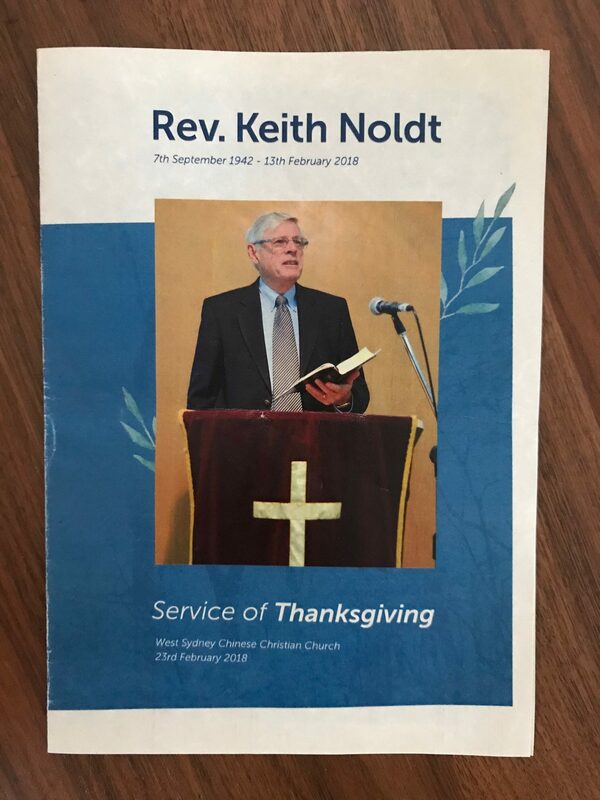 It is a grief to our whole church that Keith is gone. Many of us are still in disbelief when we sit in our seats each Sunday, that he will not be getting up to boom the gospel into the microphone as depicted in the photo above. Keith died as he lived – speaking the good news that Jesus saves and we really miss him. For Janette, Leanne, Jennifer and the family as they grieve and adjust to life without their husband/father/grandfather. if that were not so, would I have told you that I am going there to prepare a place for you? And if I go and prepare a place for you, I will come back and take you to be with me that you may also be where I am.